HPCAT Papers Featured in Rev. Sci. Instrum. A collection of 10 papers was published in a single volume of the Review of Scientific Instruments. These papers represent a snapshot of recent developments at HPCAT in advancing high-pressure synchrotron techniques. The following articles were published as Special Topic: X-ray Techniques at the HPCAT Advanced Photon Source. 1. Shen, G. and S. V. Sinogeikin, Preface: High-pressure studies with x-rays, Rev. Sci. Instrum. 86, 071901 (2015). 2. Meng, Y., R. Hrubiak, E. Rod, and R. Boehler, New developments in laser-heated diamond anvil cell with in situ synchrotron x-ray diffraction at High Pressure Collaborative Access Team, Rev. Sci. Instrum. 86, 072201 (2015). 3. Hrubiak, R., S. V. Sinogeikin, E. Rod, and G. Shen, The laser micro-machining system for diamond anvil cell experiments and general precision machining applications at the High Pressure Collaborative Access Team, Rev. Sci. Instrum. 86, 072202 (2015). 4. Chow, P., Y. M. Xiao, E. Rod, L. G. Bai, G. Shen, S. V. Sinogeikin, N. Gao, Y. Ding, and H. K. Mao, Focusing polycapillary to reduce parasitic scattering for inelastic x-ray measurements at high pressure, Rev. Sci. Instrum. 86, 072203 (2015). 5. Popov, D., C. Park, C. Kenney-Benson, and G. Shen, High pressure Laue diffraction and its application to study microstructural changes during the α → β phase transition in Si, Rev. Sci. Instrum.86, 072204 (2015). 6. 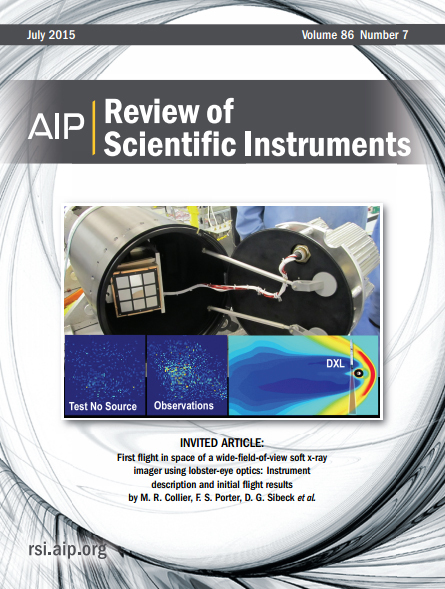 Park, C., D. Popov, D. Ikuta, C. Lin, C. Kenney-Benson, E. Rod, A. Bommannavar, and G. Shen, New developments in micro-x-ray diffraction and x-ray absorption spectroscopy for high-pressure research at 16-BM-D at the Advanced Photon Source, Rev. Sci. Instrum. 86, 072205 (2015). 7. Xiao, Y. M., P. Chow, G. Boman, L. G. Bai, E. Rod, A. Bommannavar, C. Kenney-Benson, S. V. Sinogeikin, and G. Shen, New developments in high pressure x-ray spectroscopy beamline at High Pressure Collaborative Access Team, Rev. Sci. Instrum. 86, 072206 (2015). 8. Kono, Y., C. Kenney-Benson, Y. Shibazaki, C. Park, Y. Wang, and G. Shen, X-ray imaging for studying behavior of liquids at high pressures and high temperatures using Paris-Edinburgh press,Rev. Sci. Instrum.86, 072207 (2015). 9. Smith, J. S., S. V. Sinogeikin, C. Lin, E. Rod, L. Bai, and G. Shen, Developments in time-resolved high pressure x-ray diffraction using rapid compression and decompression, Rev. Sci. Instrum. 86, 072208 (2015). 10. Sinogeikin, S. V., J. S. Smith, E. Rod, C. Lin, C. Kenney-Benson, and G. Shen, Online remote control systems for static and dynamic compression and decompression using diamond anvil cells, Rev. Sci. Instrum. 86, 072209 (2015).